Who hasn’t dreamt of paying a visit to the city often dubbed the “most unique” city in the United States? Famed for its French heritage, Cajun cuisine, and round the clock partying, it’s never hard to find a good time in the “Big Easy.” But this city on the bayou is so much more than party central. Quirky could easily be its middle name. It’s known as the home of Anne Rice vampires, voodoo queens, and world-renowned chefs. Its heart pumps to a jazz beat, with the muddy Mississippi as its life’s blood. New Orleans really has a culture that stands out above the rest, at least as far as the United States is concerned. 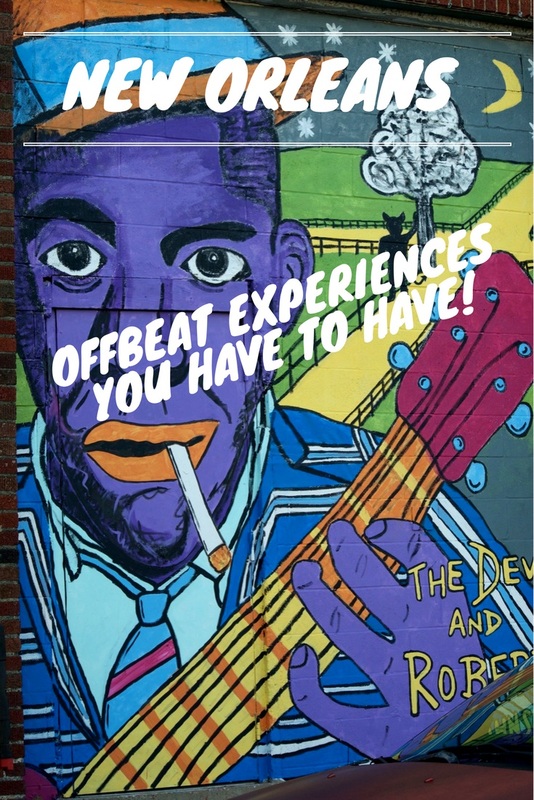 With that said, here are offbeat experiences to have in New Orleans that will be sure to leave you feeling like weird is always better. I saw this in some documentary a few years ago, and I have been fascinated with the peculiar notion of having my own parade ever since. And believe me, once an idea hatches in my mind, it is inconceivable for it not to happen. My entire travel journey started from seeing the La Tomatino tomato fight on the Travel Channel years go! Apparently, second line parades which were historically once reserved for funerals, have transitioned into something different entirely. Second line parades are now popular for bachelor/bacehlorette parties, birthdays, and just about any occasion in which someone feels like being weird and/or special (cue MEEEEE). Even celebrities have got in on the action, which I feel is a little attention whoreish for them. Gosh, you’ve got TMZ already! Case in point: Hannibal Buress’s youtube video documenting his New Orleans parade experience. 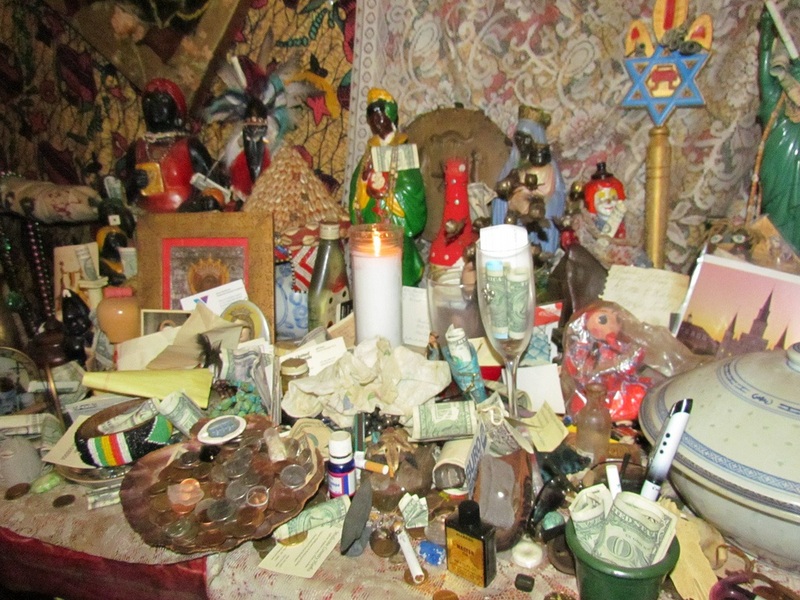 True Voodoo enthusiasts will appreciate the authentic temple established by Priestess Miriam. As you walk into the temple you are actually walking into the heart of this breathtaking Voodoo Altar. Anyone can have their future told by a tarot card reader in Jackson Square, a visit to this temple is for legit Voodoo lovers. Pay a visit to Guinee, said to be the Voodoo underworld! There are actually, according to legend, seven gates throughout the city, each a portal to the dark and dangerous Guinee. They are scattered around the city, but be warned. It’s best to visit them with an offering, or you’ll risk releasing restless spirits. Well isn’t that just creepy?! Who needs a scary movie when something like this exists in real life? Personally, the only thing that could be creepier is the human centipede movie which I just finally watched. Don’t do it! Do NOT DO IT! You can’t unsee it folks! 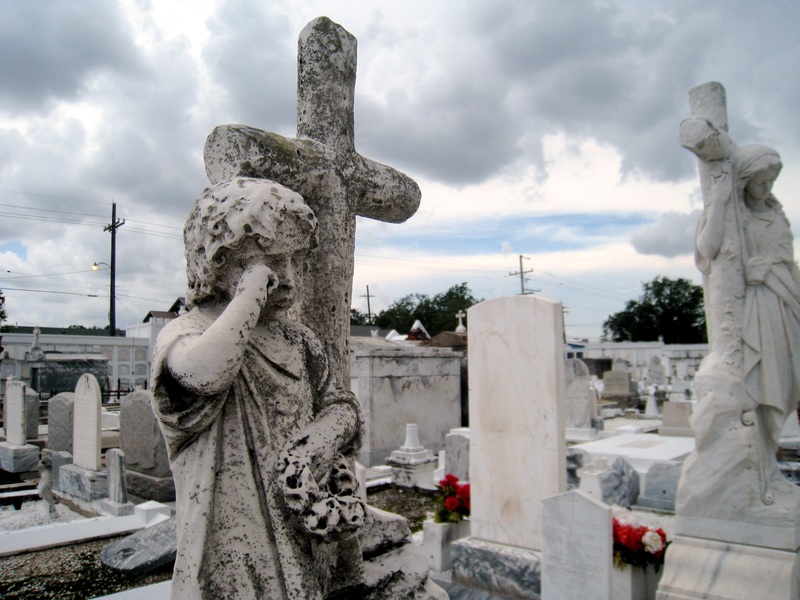 New Orleans cemeteries are wonderful, and the St. Roch cemetery is one of the best. Here you will find a small chapel, built by parishioners in gratitude for being spared during a yellow fever. The tiny church is decorated with crutches, prosthetics, bandages, and the like left by believers in the hope of achieving cures through the intervention of the saint for whom the chapel is named. A mini version of Lourdes, it would seem. What kind of person would I be if I didn’t mention that you could take an airboat swamp tour In New Orleans? Tour 20,000 of tidewater cypress swamp and a fascinating ecosystem loaded with gators, snakes, turtles, and other swamp wildlife. 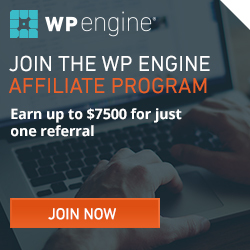 A simple google search will bring up a variety of exciting airboat adventures that you can have in New Orleans, each lasting about 2 hours long. First of all, it should be noted that the entry to this park is technically illegal. 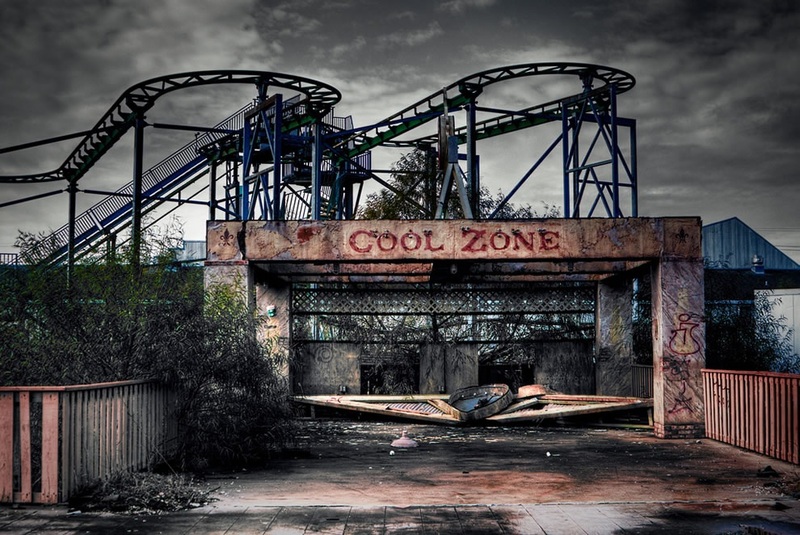 Having said that, if you do manage to weasel your way into this run down six flags, which is basically the scattered remains of an amusement park hit by Hurricane Katrina, prepare yourself for an eerie adventure. This ghost town that is littered with smashed clowns, dirty abandoned rides, and faulty fun houses is something every offbeat fanatic will love! You can also find one of Napoleon’s four remaining death masks at the Louisiana State Museum. a tip of the hat to the city’s French heritage. But the city does seem a bit of ambivalent about this treasure, donated in 1835 by Dr. Francois-Joseph Antommarchi, Bonaparte’s personal physician. In 1866 the mask was recovered from a junkman’s cart and repurchased by the city treasurer. 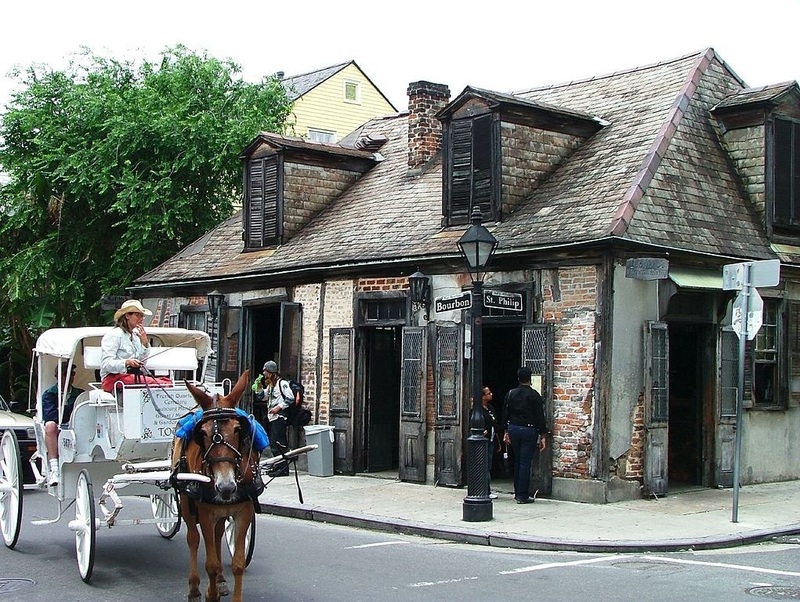 Luxuriate in a carriage tour through the French Quarter and pretend you’re in antebellum New Orleans. Walk the streets of the Garden District and admire the architecture of a bygone era. Take a spooky walk with one of the many ghost tours! The Crescent City has a history of a more supernatural nature, as well as the quirkiness of the mundane world. This is a city rife with stories of vampires and ghosts, zombies, and voodoo. This was, after all, the home of voodoo queen Marie Laveau. As you can see, New Orleans is a city that is peppered with off-beat destinations, historical hotels, bayou destinations, abandoned buildings, artist workshops, and even a 19th-century fortress (Fort Macomb). Step outside your comfort zone, take the path less traveled and see a complex and diverse New Orleans. This list is just a starting point for offbeat experiences to have in New Orleans. I also highly recommend seeing Atlas Obscura, Jessie on a Journey, or this post from Travelocity for a more exhaustive list. 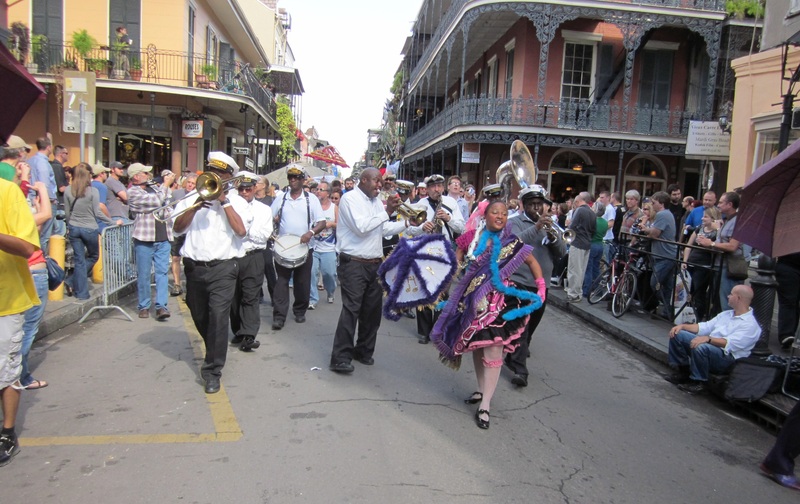 What would you include on this list of offbeat experiences to have in New Orleans? I love the Big Easy. Was there three months before Katrina arrived and had a blast. From Tipitinas to Murphy’s and all points in between. Drinking hurricanes until dawn nearly killed me, but was well worth it.